(Text automatically translated) Ideally located in a quiet neighborhood, the house s'bibbala nascht "is the" wine route "of Alsace and the Vosges Regional Natural Park. Throughout the year, Turckheim has many manifestations including the famous tour night watchman. Ganz wunderbare Ferienwohnung, die sehr ruhig gelegen und unmittelbar beim historischen Stadtzentrum liegt. Wir haben nichts vermisst und hier einen ideal gelegenen Ausgangspunkt für Wanderungen in den Bergen, Entdeckungen an der Weinstraße und in der Kultur Colmars gefunden. Vielen Dank für die wirklich unkompliziert e und herzliche Aufnahme! Le gîte est bien situé par rapport à la ville de Turckeim et son environnement régional, endroit très calme. Si un petit bémol, pas d'internet et un wc individuel, un peu embêtant quand on est plusieurs, mais je recommande vivement. Très bon accueil de Mme Charlotte. Merci pour votre commentaire,les travaux sont en cours pour une rénovation complète de la salle de bain avec un wc individuel. Espérant vous recevoir une nouvelle fois. Una casita en dos plantas, a dos pasos del centro del hermoso pueblo de Turckheim, junto a Colmar, en el corazón de la Alsacia. Perfectamente equipada, tranquila, amueblada al estilo tradicional, ideal para vacaciones en familia. 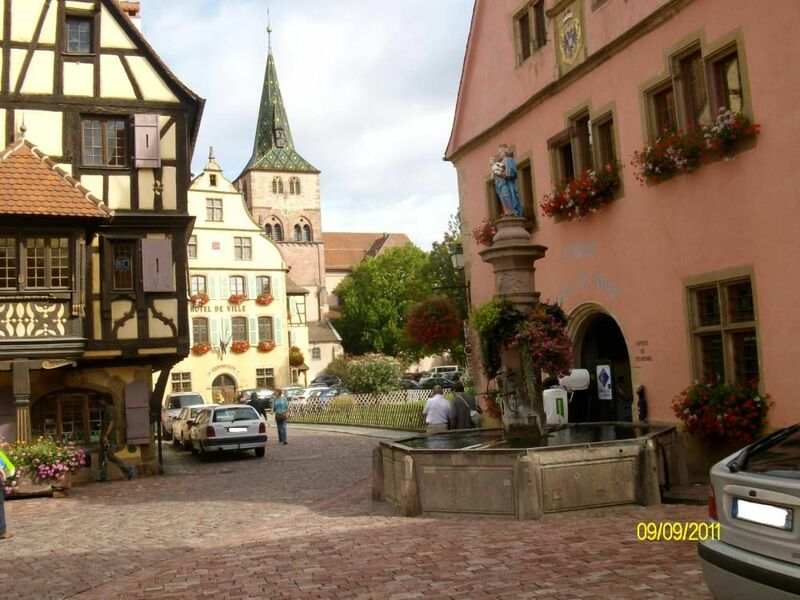 (Text automatically translated) In summer, many activities are also always timed to the rhythm of the night watchman round: Guided tours of the town of Turckheim and historical heritage, hiking in the Vosges Mountains, guided walks by winemakers in the wine trail Brand followed by a tasting of the wines of Alsace and finally the "party of the country Brand" to end the summer in style!